Experience the thrill of driving down the Portland, Oregon highway with your new 2019 Triumph Bonneville T120 motorcycle. These new motorcycles are reborn for a new generation with the 1200 cc High torque engine and high-quality motorcycle details. You can find the new T120 at our local new and used motorcycle Latus Motors Triumph dealership in Gladstone, Oregon. 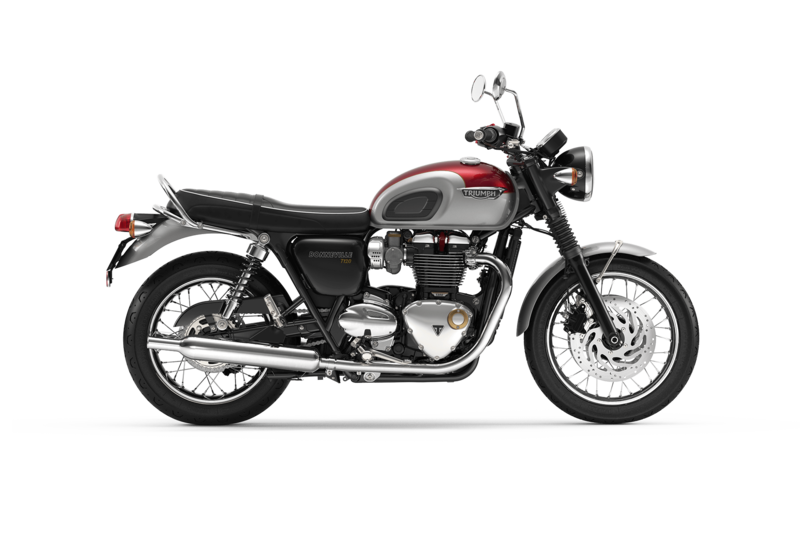 Drivers for the new Triumph Bonneville T120 will enjoy the new peerless style and peak performance styles found in the motorcycle. The new T120 also comes with a standard ABS feature with the latest anti-lock braking system. If you are interested in getting a closer look at the new T120, schedule a test drive and see for your self why this motorcycle is what you need to shake up your commute. Fill out our online Credit Application to become pre-approved in minutes for the new Triumph T120. Our finance team is ready to help you find an auto loan that won't break your bank. Plus, with our team, you can upgrade to the new Bonneville T120 by trading in your current bike. Use our online Trade-in Calculator to learn the current value of your trade-in.